Microsoft has confirmed that it will launch the Release Preview of Windows 8 in the first week of June, according to an announcement made at the Windows 8 Developer Days conference in Japan today, via Engadget. This news comes fresh from the company revealing the Windows 8 catalogues last week, which will come in four different editions: Windows 8, Windows 8 Pro, Windows Enterprise and Windows RT. The date touted today isn’t to be confused with the full release of the new system, which remains unconfirmed but is speculated to be coming in October. 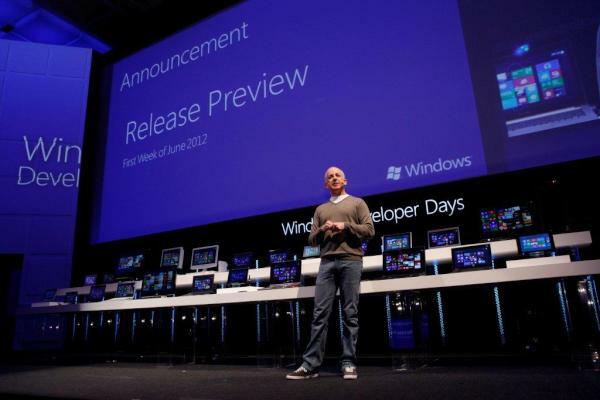 Microsoft has given the public flashes of what it can expect from its new operating system as The Developer Preview was made available to download in November 2011, before the Redmond-based giant got the Consumer Preview out and ready at the end of February. This release is a much bigger deal and it is likely to get Microsoft and Windows enthusiasts very keen on the upcoming release, which they’ll have to patiently hang on for. For more details on Windows 8, see our ‘Everything you need to know about Windows 8′s Consumer Preview’ article from February.